From Lulu to comedy, tennis to Elbow and Robbie Williams, here’s our pick of the week’s best things to do. The Rotterdam Philharmonic presents a spectacular show which uses classical music to tell a love story, incorporating dance, singing, aerial acrobatics, magic, costumes and sets. The show is directed by Guy Caron (photo), formerly of Cirque du Soleil. Among the music being played is Prokofiev’s Romeo and Julia suites 1 and 2. The conductor is Josep Vicent and the singer is the mezzo-soprano Estrella Morente. The Top Shelf Open attracts international male and female tennis players who use it as a chance to practice their playing on grass ahead of Wimbledon in July. Among those competing this year are the Dutch players Robin Haase and Kiki Bertens together with Jo-Wilfried Tsonga, Lleyton Hewitt, Richard Gasquet, Jelena Jankovic and Andrea Petkovic. Extremalism by the choreograph duo Emio Greco and Pieter C Scholten is a unique European cooperation between 24 dancers from the French Ballet National de Marseille and six from ICKamsterdam, the platform for contemporary dance in the Netherlands. The theme is what a body does in an extreme situation and how it survives in a very minimal setting. 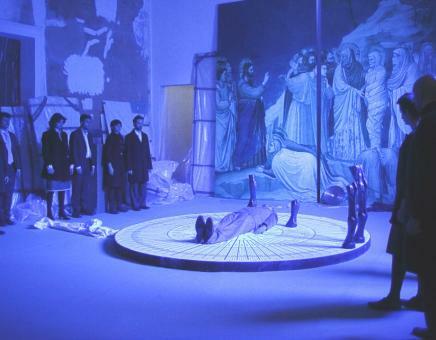 As Big As The Sky is the new multi-media opera by composer and director Arnoud Noordegraaf. The libretto is by the British writer Adrian Hornsby. The set and the projected images are from the Chinese artist Ai Weiwei. For his opera, Noordegraaf has used a combination of traditional Kunqu opera and late romantic Wagner as his inspiration. The story of the European architect Sem Aers and his passionate affair with the opera singer Qin Mulan embodies the clash between East and West, tradition and modernity, romance and reality. 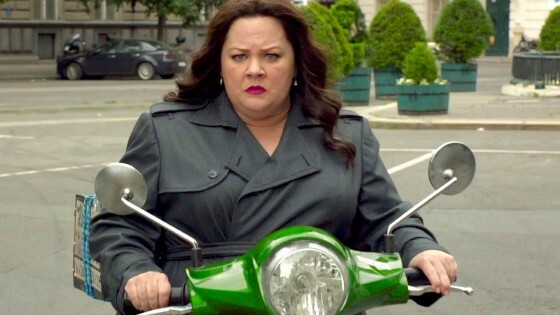 With Bridesmaids a surprise hit and an all-female Ghostbusters in production, director and screenwriter Paul Feig proves yet again what a friend he is to female comedians by giving Melissa McCarthy her first lead role in this hilarious take on spy films. McCarthy plays Susan Cooper, a desk-bound CIA operative, providing Jude Law’s Bond-like Bradley Pine with the information to magically dodge attackers and infiltrate fortresses. When Pine is assassinated by arms dealer Rayna Boyanov (the haughty and glamorous Rose Byrne), Cooper demands she be allowed into the field to avenge his death. As Cooper travels around exotic locales in pursuit of Boyanov’s nuclear device, McCarthy confirms her instinct for both verbal and physical comedy, while Feig underlines his credentials as a female-friendly writer by providing a script that is smart and funny about society’s assumptions about older women. The young Ukranian pianist brings his intensity and ferocious concentration to Mozart’s sonata in C, Schubert’s sonata in A, Liszt’s Consolation nr 3, Prokofiev’s sonata nr 6 in A and Danse macabre by Saint-Saëns. The company performs the complete four-hour version of Alban Berg’s Lulu, in a coproduction with the Metropolitan Opera New York and English National Opera. It is directed by the South African artist and film-maker William Kentridge and stars Mojca Erdmann as Lulu. Fabio Luisi conducts the Royal Concertgebouw Orchestra. The annual outdoor pop festival presents a line-up of international artists on several stages. This year’s acts include Elbow, Robbie Williams, Anouk, Foo Fighters, Pharrell Williams and Sam Smith. The first retrospective of the work of the 17th century artist Henri de Fromantiou with a wide selection of his paintings. De Fromantiou was born in Maastricht and enjoyed his heyday as the court painter in Potsdam. The exhibition highlights not only his oeuvre, but also his position as court painter, art dealer and restorer in the service of Frederik Willem I, Elector of Brandenburg. 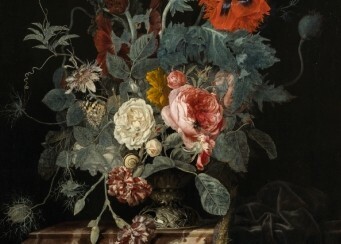 De Fromantiou’s paintings portray a royal world in prestigious still lifes of game and luxury products like flowers and fruit. Conductor Marc Albrecht (photo) closes the season with Mahler’s symphony nr 1. This is followed by Korngold’s violin concerto with soloist Simone Lamsma and Schoenberg’s Begleitmusik zu einer Lichtspielszene (Accompanying music to a film scene).